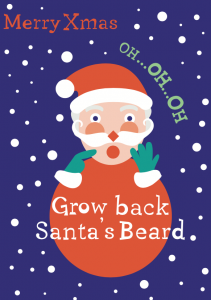 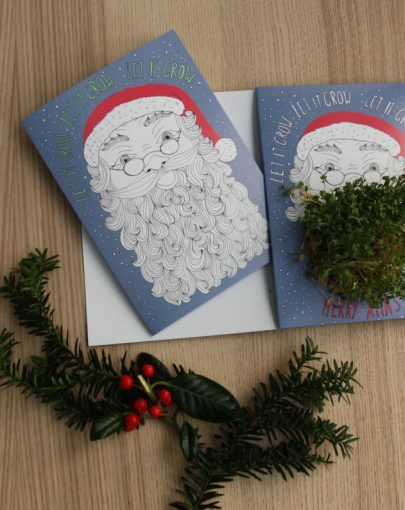 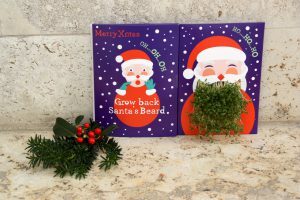 Grow microgreens as Santa Claus beard. 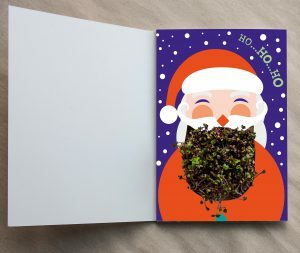 Santa comes with mustard sprouts and in A5 format. 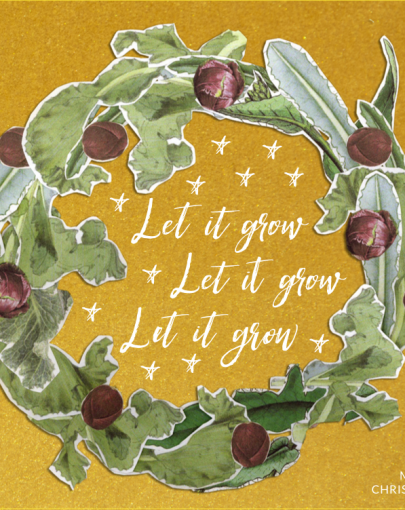 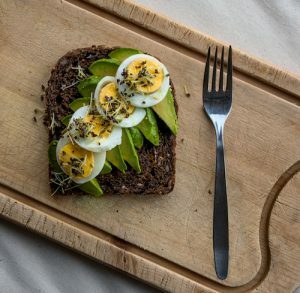 This card includes Mustard microgreens are a good source of vitamin A, C, E, energy and carbohydrates, proteins, dietary fiber, folate, niacin riboflavin, thiamin, sodium, potassium, calcium, copper, iron, magnesium, manganese, and zinc. 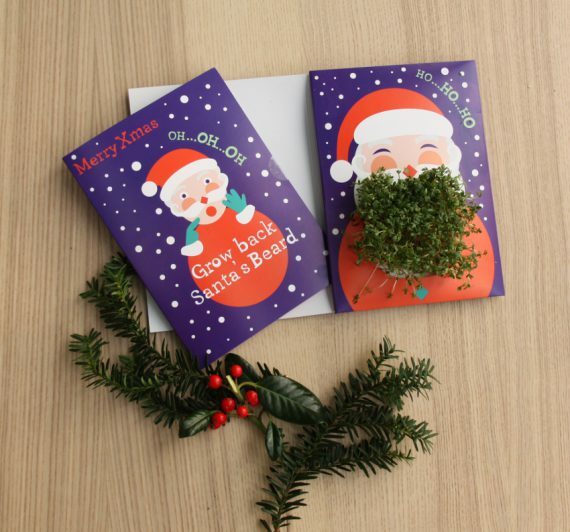 Welcome a new Human Sprout with this card and let the new parents grow broccoli sprouts.